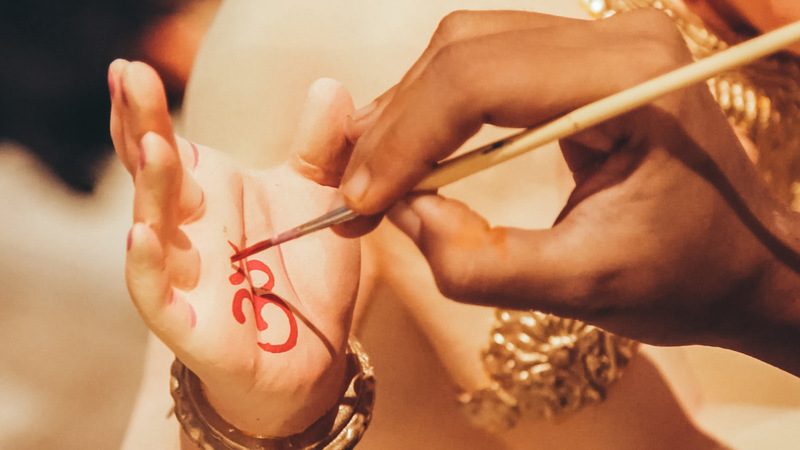 In August and September of every year, many states in India celebrate Ganesh Chaturthi, one of the most significant Hindu festivals of the year. 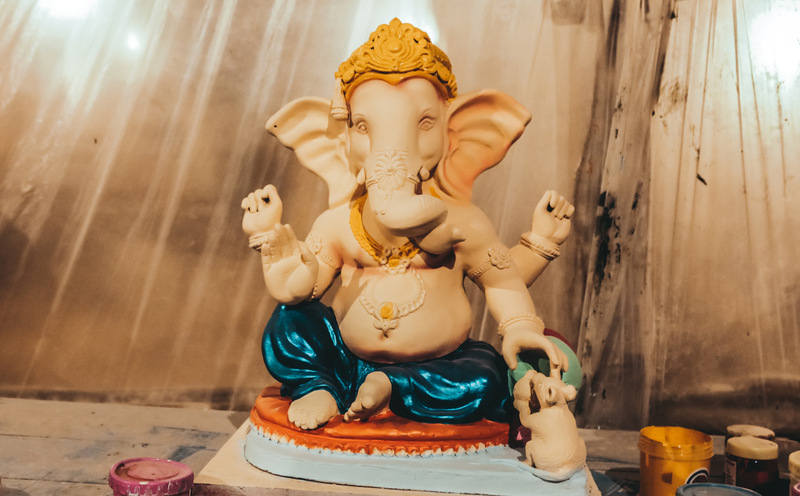 It celebrates the birth of Ganesha, one of the most-worshipped deities in Hinduism, who’s known as the remover of obstacles, the patron of arts and sciences, and the deva of wisdom. 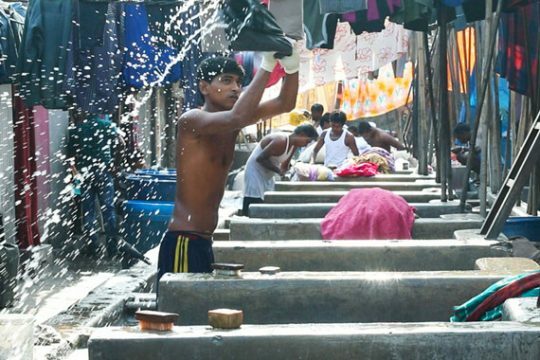 In 1893, the celebration was transformed by renowned social activist Bal Gangadhar Tilak from private household affairs to the gala-style celebration that we see today. 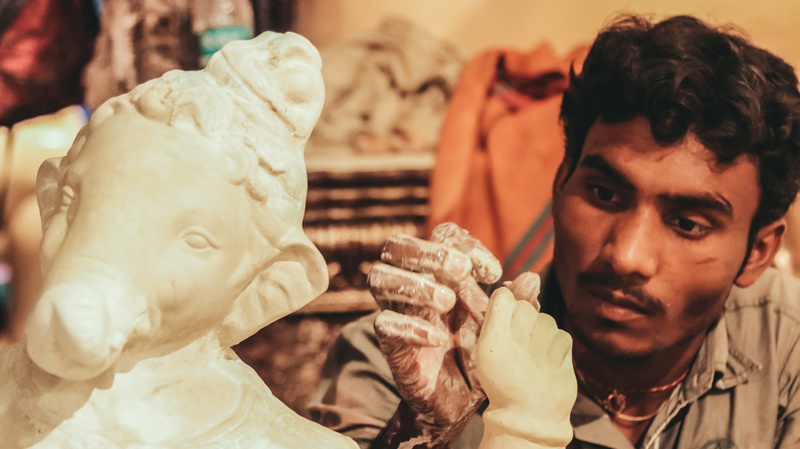 As part of the festival, people bring idols of Ganesha home; build pandals, which are temporary structures specifically made to host larger idols; and gather in public spaces to celebrate over the course of ten days. 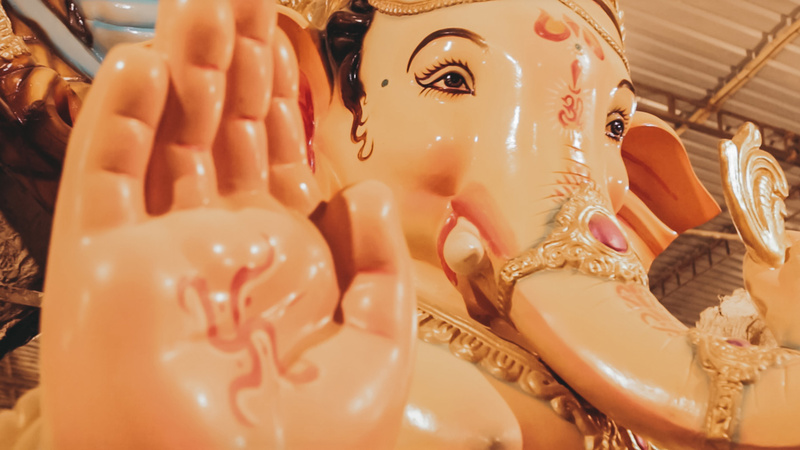 In the days leading up to the festival, before being stationed at the intended pandal, giant statues of Ganesha can already be spotted around the city. 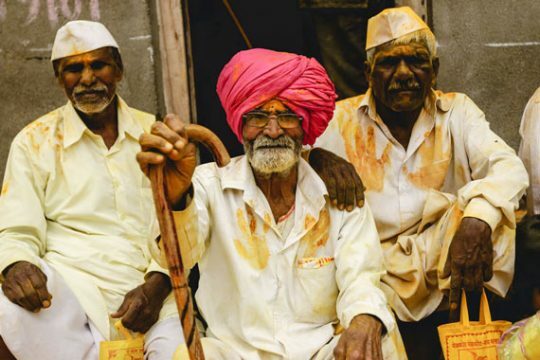 The actual festival is even more of an impressive sight: traffic stands at a complete halt, the roads glimmer in the saffron of marigold, shankha conch shells are blown, and the drums don’t stop beating. People dance and cheer in sheer joy at seeing Lord Ganesha. However, the workshops that are set up and prepare months prior to the festival are often forgotten. 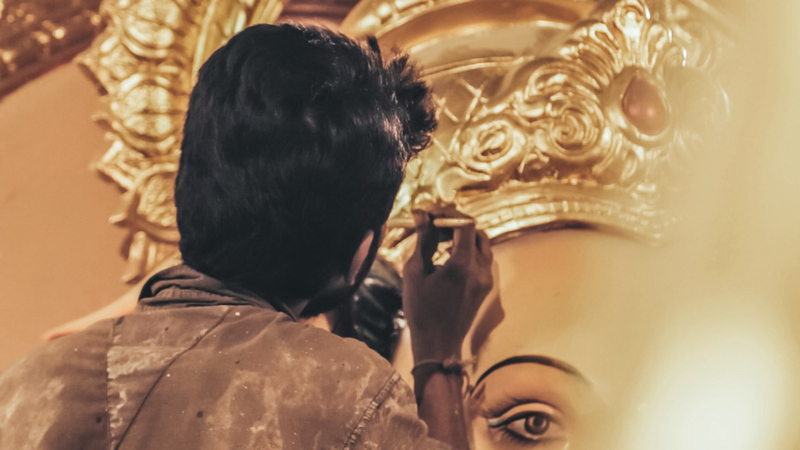 Artists and laborers work from day to night for weeks on end, toiling away to perfect the details of each idol. Typically, these idols are made of gypsum plaster, with larger idols reaching heights of around 30 to 40 feet. Their smaller counterparts are eco-friendly, being made with china clay or mud. 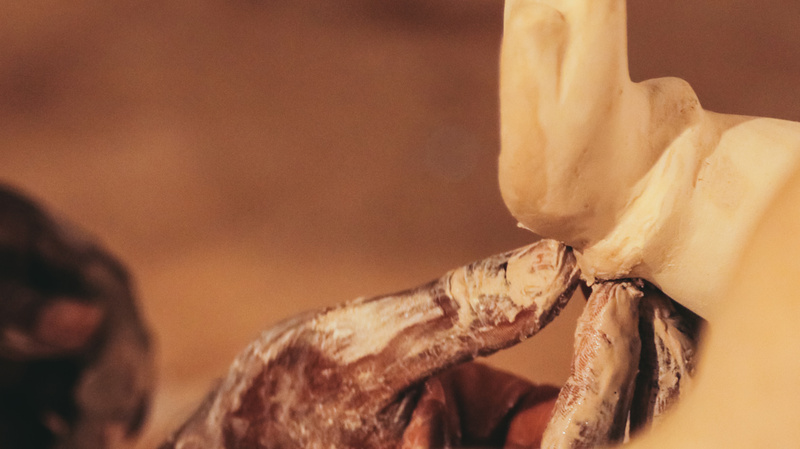 Some of the even smaller idols are made with non-traditional materials like papier-mâché, pencils, or even cardamom. Visiting the workshop was an inspiring experience. It was a place where people from different walks of life joined together and worked as one. 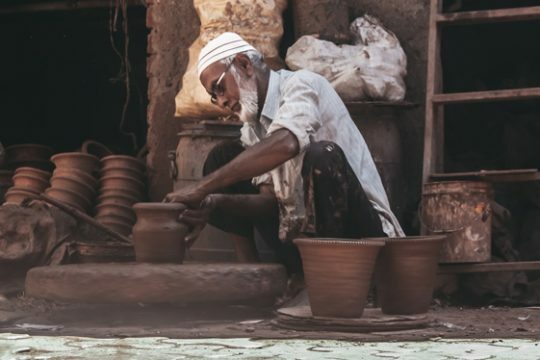 To me, these artisans’ sense of dedication, faith, and unity are what truly make these idols come alive. 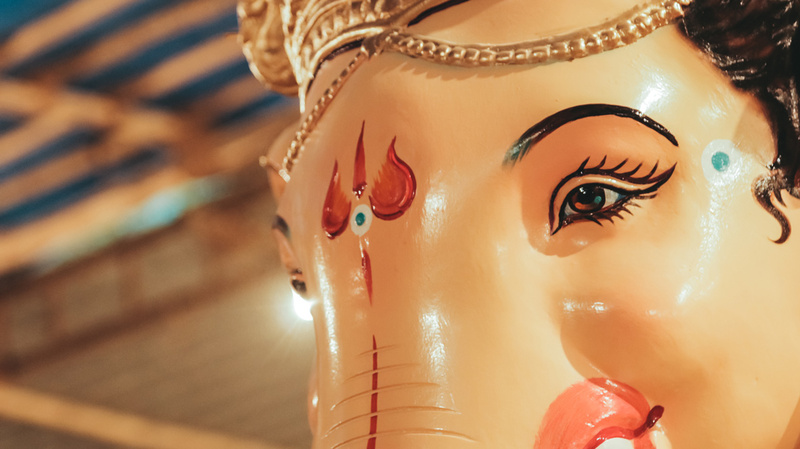 This year’s Ganesh Chaturthi will begin on August 25th and end on September 5th. Mark your calendars if you want to see the festivities in person!